The Tobacco Industry—What Can We Expect in the Coming Years? During the past half-century, increased awareness to the health consequences of tobacco smoking resulted in a marked decline in adult smoking. Despite the current rate of adult smokers in the United States falling to 18 percent, the smoking industry remains profitable. Why? As restrictions on smoking increase in the United States, and the market for cigarettes shrinks accordingly, there are people in other parts of the world who are smoking more. The cigarettes companies operating internationally seem to focus their current marketing campaigns on smaller countries with less tobacco-use restrictions. Indonesia, where 67 percent of adult men smoke, appears to be a particularly lucrative target. Other countries gaining the attention of the multi-national cigarette companies include Australia, Uruguay, and Togo. In the interest of public health, Australia took a stand to protect its right to package cigarettes with warning-based packaging and labeling rather than the customary slick Madison Avenue-type cigarette packaging and branding. The cigarette company powers-that-be sought to override Australia’s wishes through litigation, but Australia prevailed. The much smaller and poorer countries of Uruguay and Togo, on the other hand, find themselves facing formidable opposition in any attempt to fund litigation that would ultimately protect their public health interests through restrictions on cigarette packaging. The Marlboro Man may be one of the premiere marketing and branding successes of the past century. Positioning the iconic American cowboy, the symbol of freedom and rugged independence with what was to become an instantly recognized red-and-white package of cigarettes was brilliant marketing. It is now a part of American culture, and likely recognized throughout the world. Phillip Morris International owns seven of the top fifteen international cigarette brands. One of those brands is Marlboro. The company boasts net revenues in the neighborhood of 80 billion dollars annually. Its financial capability to protect and expand its influence worldwide through marketing and litigation is formidable. Smaller, third-world countries with limited resources to raise public awareness of smoking-related health issues cannot adequately defend themselves on the issue of cigarette package warnings. Any smaller, less-affluent country with limited resources is also faced with lower literacy rates and less access to current health-related information and healthcare. Based on current trends, we could expect cigarette companies to expand upon their successful marketing trends and targets of smaller, less-affluent countries with fewer resources to defend themselves against the intentions of such a powerful Goliath. While nicotine and tobacco are not commonly catalogued with highly addictive substances such as heroin or cocaine, a smoker who is nicotine-dependent and trying to quit knows just how addictive nicotine-containing tobacco truly is. Savvy marketing skill used to sell cigarettes to vulnerable populations, backed-up by a stable of well-funded litigation attorneys, international laws protecting trademarks and intellectual property, and the addictive nature of nicotine-containing tobacco itself are a recipe for international success. While America seems to be on a steady course of tobacco smoking decline, other countries in the world will most likely continue to bolster the multi-national tobacco industry, and keep its coffers filled. 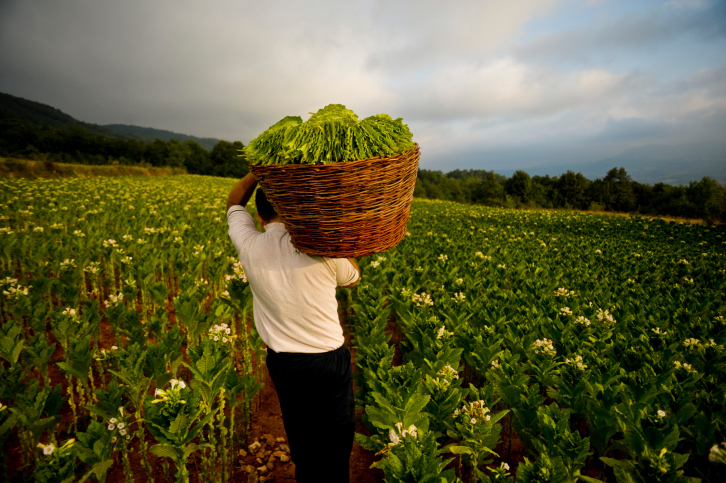 Be the first to comment on "The Tobacco Industry—What Can We Expect in the Coming Years?"